The first "EVER" post, inspired and compiled entirely from other members' Blog Title's regarding the "Open House", and it's obvious Controversy! I heard about The Best Open House List in Town, isn't real estate still local? Wouldn't you like to know more on HOW TO GENERATE BUSINESS FROM AN OPEN HOUSE!? Some of you may even be asking yourself Why Open House is a Waste of Time and What You Should be Doing Instead, feeling that it's an absolute waste of time. Open House, Closed House, Safe House, there's nothing in it for me and they don't work!! Open Houses...Think Outside The House! Maybe if you take A Fresh Approach To The Open House, you might have more success. Some have even figured out how to create the urgency MAYDAY! MAYDAY! OPEN HOUSE S.O.S.! It sure caught my attention. Everyone knows that OPEN HOUSES - NOT FOR THE TIMID - PROS NEED ONLY APPLY. But here, you'll find that SELLING HOMES IN A SLOW MARKET - THIS AGENT HAS IT RIGHT!! I have always wondered about Open Houses: Waste of time or Savvy marketing technique?? Some members believe in them so much, they create Efficient Local West Michigan Spring Time Open House Search 's for their areas. Oh the controversy!! Don't you wish there was an Agent Open House Tutorial? Maybe this article will help give you at least 5 Reasons why Realtors should co-host open houses with a mortgage professional! or even a List of 26 Open House Tips for Realtors®. Is anyone looking for A Great Article For Buyers on Attending Open Houses? I guess if you wonder Who does open houses? You'll definitely find out here. A Tale of Two Open Houses will shed some light on the whole concept. How about the Open House Flyer – Ideas to Maximize This Simple, Useful and Inexpensive Real Estate Tool , Denise Says: Open Houses are the Dying Diamond of Real Estate. I guess if you're always Making the best of Open Houses, they might make cents... We are all looking for The Real Deal on Open Houses | Do They Really Provide Results, so look no more! It's all here!! 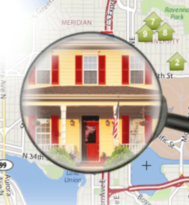 The controversy of How to hold an effective "Traditional Open House", may be over...or NOT! If you have that question, Is an Open House Right for You? I hope you'll find the answer here. If you do hold "Open Houses", I hope you'll find out How to make your public open house a success! Everyone wants Open house secrets for the millionaire Realtor! If you feel Preparing your home for an Open House, is a waste of time, then you might want some Open House Tips. Whether you feel Open Houses Are A Waist Of Time For Sellers and they are a Waste of a Sunday....The Public Open House, or that Hosting an Open House the right way, might be Creating Captivating Open Houses! I think this will be a creative post in helping you Prepare for your Open House!! The question Open houses. To do or not to do. will probably remain a mystery forever, so before you Schedule An Open House...When? be sure to read these links! This way, the comments alone from posts like: Open Houses: Do they really sell homes? will help you make that final decision. I hope you'll be able to determine if Open houses; a worthless waste of everyone's time or a great selling tool??? Personally, I Love Open Houses! The "Open House" question will always exist, but my question to you is, How do you feel about Open Houses? and What Do You Do To Advertise Your Open House? In many cases, Open Houses - Seize the Opportunity! With this post, you might even Increase Your Open House Conversion Rate! I'm not trying to change the world here, just trying to help you decide if your world needs change!?! The "Open House" is what sold my last two residences, one in California and one in Hawaii. Also, I bought my current home from an "Open House" Are you HONEST about Open Houses? For a list of the contributing members and writers on this post, CLICK HERE! Google Alerts - Staying "Alerted"
Who put a link in the comments of this post? Please Do!! !